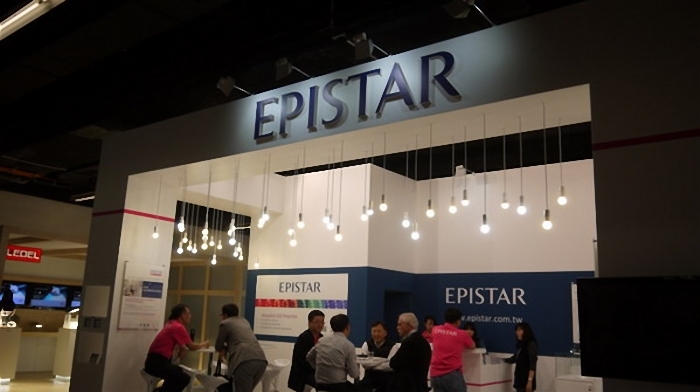 Taiwanese LED chip manufacturer Epistar has showed regular revenue growth, accumulated revenue as of September 2014 has reached last years total annual revenue of US $750 million, and its future revenue outlook remains positive. The companys merge with FOREPI is expected to further drive annual revenue growth to reach the $1 billion target soon. Epistar produces both visible and invisible LED chips, and has maintained an energy efficiency growth of 5% to 10%. The company developed High Voltage chips which perform better than DC LED chips to remove heat sinks in LED lights. Also, to reduce the need of LED drivers, the company also offers AC LED and HV LED solutions for driver reduction developments to meet all kinds of lighting demands. AC LED is integrated with the bridge rectifier during semiconductor manufacturing process and turns on once connected to AC power. It is mainly applied in lighting that does not require electronic controllers, such as G9 LED lamps, mini lamps, Christmas lights and other small sized luminaire applications. Earlier this year, Epistar raised AC LED chips Radiant lumen to around 360 mW, up from 340 mW in 2013. The company expects the chips to achieve 380 mW at the end of 2015. However, AC LEDs are very costly. Hence, Epistar provides a low price option of placing the bridge rectifier outside of the HV LED chip. HV LED chip is applied to streetlights, downlights and widely used in advanced lighting such as 800lm omini-directional light bulb. HV LED chip can reduce driver size and diminish driver costs effectively. Moreover, it can greatly lower high maintenance costs, an issue most often found in streetlights. HV LED chip has 10% greater lighting efficiency compared to normal chip with the same chip size and operating wattage. It can also greatly reduce the packaging process while raising yield rates, and can be applied in Driver on Board (DOB). Despite the 10% to 17% tariff and putting their brand value at risk, a lot of Western lighting manufacturers often rely on Chinese LED suppliers for LED lights, due to LED technologys higher entry level. DOB directly integrates the most important light source and driver, and can be shipped after tightening two screws, which greatly minimizes the lighting assembly process. Western lighting manufacturers can thus start localized automated production, save up on tariffs and supervise product quality. DOB is also beneficial to smart lighting applications. Smart lighting requires a lot of space for sensor installation, multi-color LEDs and other components and features. Unfortunately spacing is very limited in light bulbs. With DOBs space-saving design, the key issue of smart lighting is addressed effectively. Besides, DOBs penetration rate is faster in high-voltage applications that involve 10W and above. HV LED chip can lower driver costs by $0.5 and above, the higher the wattage, the more the cost reduction. Facing the LED lights market competition and changes, the industry should collaborate and work together as a group. As for Epistar, the company has proposed the Co-Activation Service Model, a cooperation solution by virtual vertical integration. This has been Epistars long term goal, and the companys core value.